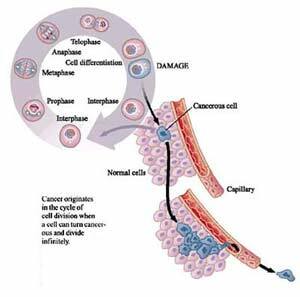 Cancer: a malignant neoplastic disease - (any malignant growth or tumor caused by abnormal and uncontrolled cell division; it may spread to other parts of the body through the lymphatic system or the blood stream). The World Health Organisation estimates that six million people worldwide die annually from cancer. While there have been remarkable strides in understanding cancer biology and in improving cancer therapy, the combined death rate from all cancers is not dramatically different from what it was 25 years ago, but survival rate and time have improved. The causes of most cancers are still unknown although occurrence increases with age and multiple risk factors have been identified. Yet cancer probably the most widely feared disease in the world - remains poorly treated. Nevertheless, considerable progress has been made in palliative and adjuvant therapy. Today drugs that specifically interfere with defined targets in the cell cycle and thus inhibit uncontrolled cellular growth and division can significantly enhance the quality of care for cancer patients. Cancer is classified by the part of the body from which it originated, and by its image under the microscope. Various types of cancer differ in their rates of development, patterns of spread, and reaction to different types of therapy. That's why individuals with cancer need specific treatment aimed at their particular form of the ailment. In the USA, 50% of all men and 33% of all women will acquire cancer during their life. Nowdays, millions of people can live with cancer or have been cured of the condition. The risk of developing most cancers can be reduced by changes in a person's lifestyle, for example, by stopping smoking or eating a better diet. The sooner a cancer is found, and the sooner treatment can begin, the higher a patient's probabilities are of a cure. Everyone knows that the word "chemotherapy" means using pharmaceuticals to treat cancer. But there's another important term that may be less familiar to you: "chemoprevention," the use of pharmaceuticals to prevent cancer. Of course, the continued search for cancer treatments and cures is essential, but some scientists are taking a more proactive view. Instead of focusing on the "end-game" of treating cancer; they are looking for ways to identify pre-cancerous events and conditions so they can intervene before the cancer becomes a grave concern. It makes perfect sense, really. If pharmaceuticals can treat invasive cancers, then it seems reasonable to assume that pharmaceuticals and other substances might also be used to stop cancer in earlier stages. That idea is the basis for chemoprevention. Cancer occurs when a gene mutates unfavorably during the process of cell division. Since cell division is continuous, human cells undergo billions of divisions in a lifetime. Indeed, the longer we live, the greater the number of cell divisions… and the greater the chance that something will eventually "go wrong" in the process. In some people, there is a genetic (family) predisposition for this kind of aberrant cellular event. In others, the mutation may be environmentally triggered. Although the possible combinations of heredity and environment seem virtually infinite, it is generally accepted that "...future cancer prevention strategies will hinge on studying both genetic profiles and environmental exposures." The overall goal of cancer prevention research is to determine WHO is likely to develop WHAT kind of cancer related to WHICH environmental trigger. Some day we may be able to take a pill that prevents the ravages of cancer in much the same way as we now have pills to lower blood pressure or reduce cholesterol. 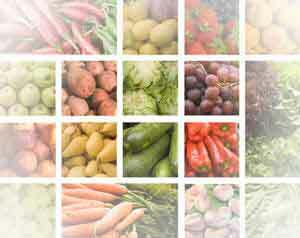 Nutrients may affect the development of cancer in some people. Deficiencies of vitamins B12 and B6 can damage replicating DNA and damage chromosomes, sometimes causing cancer. A selenium deficiency may increase the incidence of epithelial cancers in some people. Vitamin E may lead to reduced incidences of prostate cancer. Consuming some types of dietary fibre may help to prevent colorectal cancer in some people. Some pharmaceuticals are already being investigated with regard to their potential in preventing cancer. Daily low-dose aspirin may lower the risk of colon cancer in some individuals. Tamoxifen protects some high-risk women from breast cancer. Raloxifene lowers cancer risk in some healthy women. More than 4000 phytochemicals have been identified, and scientists are exploring how they may affect cancer risk and cancer development. "Some phytochemicals act as antioxidants but may also have a role in the formation of cancer-causing chemicals and/or the suppression of cancer development." Isoflavones in soybeans and other legumes. A large number of studies have been aimed at advancing our knowledge of the causes of cancer and identifying substances that may prevent its occurrence or stamp it out in the early stages of development. The fact that the National Cancer Institute (NCI) has 60 ongoing clinical trials of chemopreventives signals the importance of chemoprevention as a proactive approach for fighting cancer.